As consumers increasingly prefer to shop online, more companies are joining the e-commerce landscape. But more e-commerce growth also means greater competition. To keep customers coming back, many online retailers rely on free shipping. The strategy works: A whopping 9 out of 10 customers cite free shipping as their number one incentive to shop online more often, and 83% of customers will wait an additional two days for free shipping. But how can your business compete with retail giants like Amazon, Target, and Walmart if you can’t comp customers’ shipping? No. 1 List your shipping costs up-front. Experienced online retailers know surprise costs can send shoppers running. 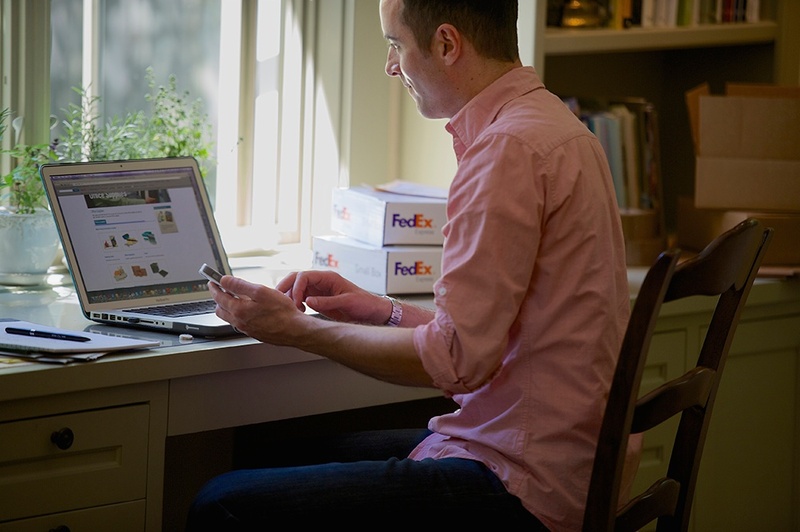 According to Statista, 64% of digital shoppers abandoned a purchase due to expensive shipping. In fact, high shipping costs were cited as the number one reason for abandoned carts in 2016. The same study also found that 35% of customers made the decision not to buy because they were unaware of the shipping costs. Whether you offer free shipping or not — and there are some small businesses that simply cannot afford to offer free shipping year-round — customers will appreciate you sharing the total cost up-front. Maybe that means putting the shipping information section at the beginning of the checkout process. Or, you may choose to display estimated shipping costs in the shopping cart. Either way, you want to show customers the total cost of their purchase as soon as possible to keep them from abandoning a purchase at the final stage of the sale. Another option is to explain to your customers the true cost of shipping for your business. Do you have an international supply chain that involves exporting or importing materials? Is there special handling required for some of your products, such as temperature control? Are your customers paying for faster delivery because your items are perishable? Honesty can help engender trust (and eventually create loyalty) in your customers. If you share some Frequently Asked Questions about your shipping fees or create some content — a blog post, video, infographic, etc. — explaining your costs, it could help keep customers from abandoning their purchases. No. 2 Give your customers more options. When it comes to online shopping, customers primarily care about convenience — but many retailers fail to meet expectations. More than half of customers have abandoned a purchase due to unsatisfactory delivery options and 74% of customers say they would shop online more often if they had more control over delivery. Say a customer orders from you, but then realizes they’re going to be on vacation when the package is delivered. You don’t want the package sitting out on the porch. Sign for a package remotely. Hold the package at a FedEx location. Place a vacation hold on a shipment. Plus, even if free shipping may not make sense for your business, you can give your customers more of the control they want with a variety of shipping services at different price points. For some customers, 2-day shipping with a special handling fee might be a perfect fit ­— but you should also offer a more economical option for customers who are willing to trade time for additional savings. No. 3 Deliver an exceptional shipping experience. Delivery is the last impression you leave with a customer — until they order from you again. Getting the details right can help you exceed expectations and earn their business for years to come. After all, only 11% of customers will shop with a retailer again if their shipping commitment isn’t met. Anticipated delivery date. Whether it’s an automated email confirmation or a popup message when they place their order, you’ll want to provide your customers with an idea of how long it typically takes to process and ship a product, as well as a drop-dead date for delivery. Tracking number. How often do customers call and ask, "Where's my order?" Not only is it a distraction for you to have to handle these calls, but also they can be a blow to your customer satisfaction rating. Online shipment tracking can help keep these customer service calls to a minimum and your reputation intact. If you really want to go above and beyond for your customers, you could provide an automatic email confirmation with every order and send updates when the order is being processed, when it has shipped, and where it is throughout the process. Free shipping may seem like a foregone conclusion when you’re trying to compete with other online retailers, but the bottom line is that you can keep your customers happy without taking a hit to your budget. Just be up-front with your customers, give them options, and treat them to an exceptional experience. They’ll keep coming back for more. If you’d like to learn more about how you can increase customer loyalty (and win the sale) by offering more shipping options, download the Redirected Shipments. Increased Loyalty. Infographic. This is a guest blog post from Fedex. 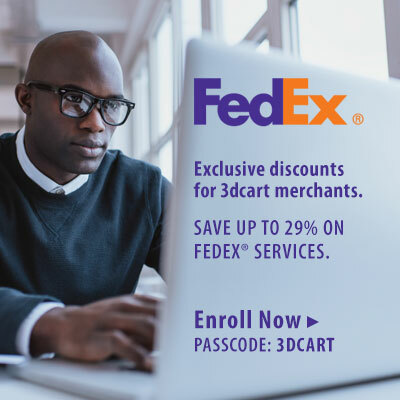 FedEx Corp. (NYSE: FDX) provides customers and businesses worldwide with a broad portfolio of transportation, e-commerce and business services. With annual revenues of $61 billion, the company offers integrated business applications through operating companies competing collectively and managed collaboratively, under the respected FedEx brand. For even more information on shipping from your online store, download our free Beginner's Guide to eCommerce Shipping.